Our Moon influences the Earth more than you realize. The Earth’s little satellite – the Moon – influences our planet more than you think. Without our Moon, life on Earth would be very different. If the Moon changes, even the slightest bit, life changes with it. The Earth spins on its axis every 24 hours, turning at 1,035 mph at the equator and decreasing in speed the closer you get to the North and South Poles. The speed of rotation at the North Pole is so slow it is almost no speed at all. Rotation changes the Earth’s shape from a perfect sphere to slightly flat at the poles and slightly bulging at the equator; the Earth’s equatorial diameter is about 43 kilometers (27 miles) larger than its polar diameter. Spinning at incredible speed, the equatorial bulge causes the Earth to wobble, like a toy top. The influences of the Sun and the Moon on the equatorial bulge makes the Earth wobble all the more, and this is called precession. The Earth’s precession is controlled by the gravitational forces of the Sun and the Moon. The Earth spins and wobbles like a toy top. Any out of the ordinary event or unknown dynamic change in our galaxy, on the Sun, at the Moon, and on the Earth, itself, can shift the Earth and alter the forces affecting it. We must prepare for all possibilities, and understand that our planet, as all planets, isn’t predictable. All the planets in our solar system precess, and our solar system, itself, precesses around a galactic axis. Due to their own ever-changing positions, the Sun and Moon cause periodic variations in both the Earth’s precessional speed and axis tilt. This disrupts rotation and creates a quiver at the axis. These quivers cause the Earth’s poles to vibrate much like a toy top. We aren’t paying attention to the fact that the recent increase in natural disasters is coinciding with a shift in the Earth’s rotation and precession. For the first time in recorded history, we are experiencing this “quiver” stimulating earthquakes, volcanic eruptions, tsunamis, global floods, and climate changes. The increase in earthquakes is a reaction to the Earth’s unstable spin. Earthquakes don’t “move” the Earth’s axis – the Earth’s “unstable spin” moves the crust, and that causes earthquakes. And this all this starts with the Sun and the Moon. June 23, 2013 Super Moon. A Super Moon takes place one time each year when the Moon’s orbit is the closest to Earth. The nearer and larger any mass is to the Earth, the more influence it has on the Earth – and the Earth has influence on it, too. A force pushing in the direction of the Earth’s rotation can cause the Earth to speed up or to slow down its normal rotation; a driving force at a right angle to the Earth’s direction of precession can change the Earth’s direction entirely. Our Moon revolves around the Earth at a somewhat constant speed, but its direction of travel is continuously changing because of the Earth’s gravity influencing it at the same time the Moon influences the Earth. The influences of the Moon and the Sun provide torque on the Earth, and this “pulling and twisting” manipulates the axis. After spinning for million of years, these forces have changed over time and they cause the Earth’s rotation to be erratic – it widens and then slows down. This adds to the “wobble” at the North and South Poles, and like the toy top, eventually, the entire planet “tips” downward. Like the toy top, a change in the force pulling the Earth, such as the Moon, shifts the Earth. If the forces from the Moon weaken, precession becomes more unstable; the weaker the force, the larger and slower the circle of rotation. On the other hand, if the forces from the Moon increase, precession still becomes unstable because the circle of rotation gets smaller and faster. Either way, these changes influence the Earth’s rotation, and create a quivering at the poles – and this causes major Earth changes. As the Supermoon gets closer to the Earth in the next 36 hours, watch to see if rotation is changed just enough to make noticeable changes. Increases in earthquakes, volcanic eruptions, and super storms would be my guess. 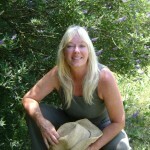 Janet Starr Hull, PhD, CN has expressed a deep love and respect for the Earth since she was a very young child. She earned academic degrees in International Geography and Environmental Science. After 20 years of research, Dr. Hull uncovered evidence supporting her theory that the Earth’s geographic poles shift at the axis, causing dramatic climate change. Today, she is one of the world’s leading environmental experts promoting public environmental awareness. Connect with Dr. Hull on Facebook, Twitter, and Google Plus.